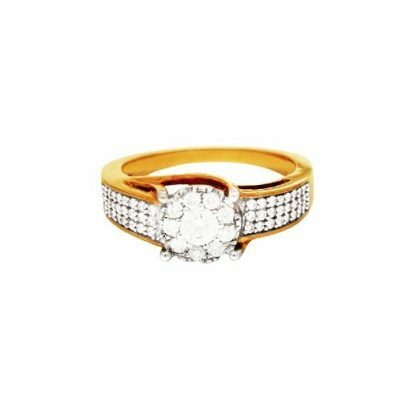 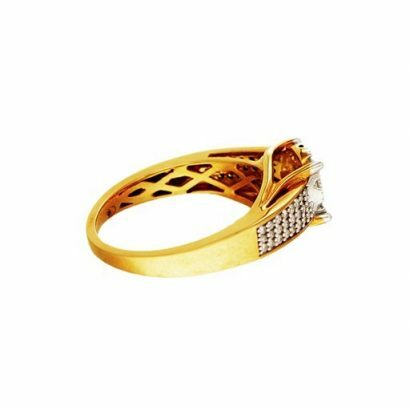 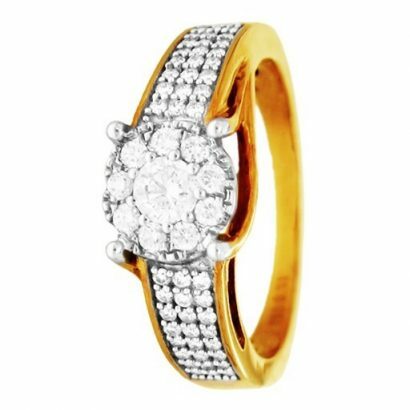 A 22 karat gold ring inlaid and encrusted with a stunning array of diamonds in a combination of design symmetry and artistic flair. The three rows of sparkling diamonds culminate in a spectacular centerpiece of a flower diamond cluster. An elegant and sophisticated ring.